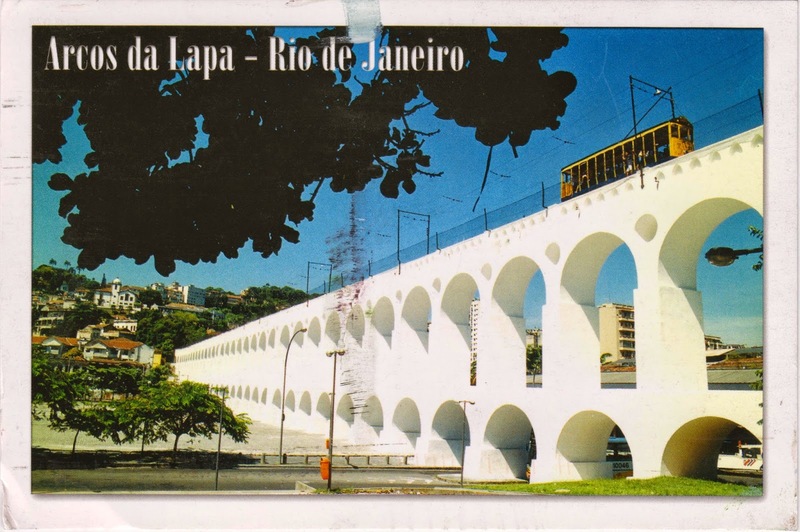 Postcard BR-263063 from Brazil show the Carioca Aqueduct in Rio de Janeiro, Brazil. Built in the middle of the 18th century in the Lapa neighborhood to transport fresh water from the Carioca River to the city, with an elegant style of colonial architecture and engineering. The aqueduct was decommissioned at the end of the 19th century, as new alternatives to supply water to Rio de Janeiro were developed. The aqueduct has served as a bridge for the Santa Teresa Tramway since 1896, connecting the city center to the Santa Teresa neighborhood uphill. Originally inspired by the tramway system in Lisbon, Portugal, the yellow tram, as seen on top of the aqueduct, was well-used by residents and tourists alike until an accident killed six people on August 27, 2011. After making design changes to improve safety, it was scheduled to open before the 2014 FIFA World Cup. However, the construction was delayed. Rio de Janeiro is also home to the Maracanã Stadium (the Estádio do Maracanã), an official football venue with 78,838 seats for the 2014 FIFA World Cup. It hosted a Group F game where Argentina won over Bosnia and Herzegovina 2:1 on June 15, 2014; and a Group B game where Spain lost to Chile 0:2 on June 18, 2014. Belgium defeated Russia 1:0 in a Group H match here on June 22, 2014. Ecuador will play against France in a Group E match on June 28, 2014.